A fixture at the triangle formed by Harris and Kinsley Avenues just outside downtown Providence since 1938, the Silver Top Diner has been witness to countless transformations in its surroundings - the construction of Interstate 95 severing it from downtown, the departure of the Browne & Sharpe Foundry and bustling produce market, rerouting of rails and rivers, the fall of the historic Rhode Island Normal School and rise of the Providence Place Mall. Far detached from its past as a bustling lunchonette for factory workers, the Silver Top opened only late nights and catered to the after-club crowd in recent years. 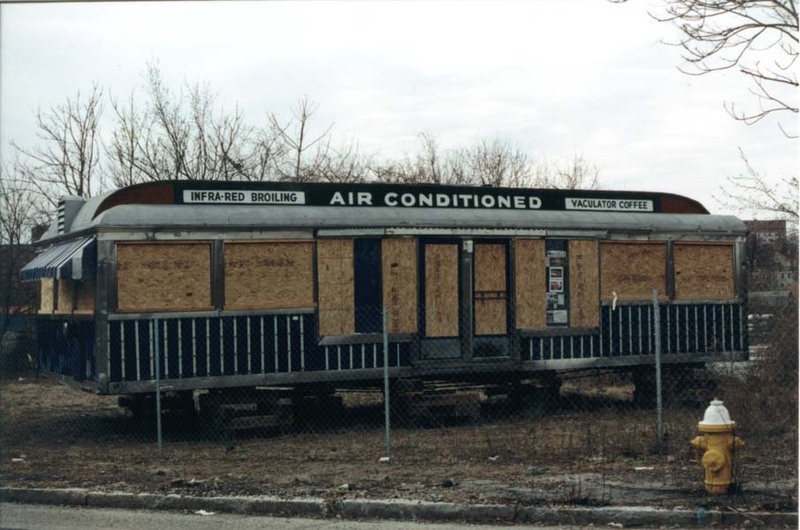 In March, 2002, it was time for the stainless steel eatery to say goodbye to the plot of land it has called home for nearly three quarters of a century. Owned by the City of Providence, the property will soon be transferred to a developer to construct luxury condominiums a stone's throw from the upscale shops and restaurants in the Capital Center redevelopment district. Fortunately, the diner has found a new home on Middle Street in Pawtucket, behind Tolman High School. A new foundation must be constructed; it is expected to reopen in about eighteen months. 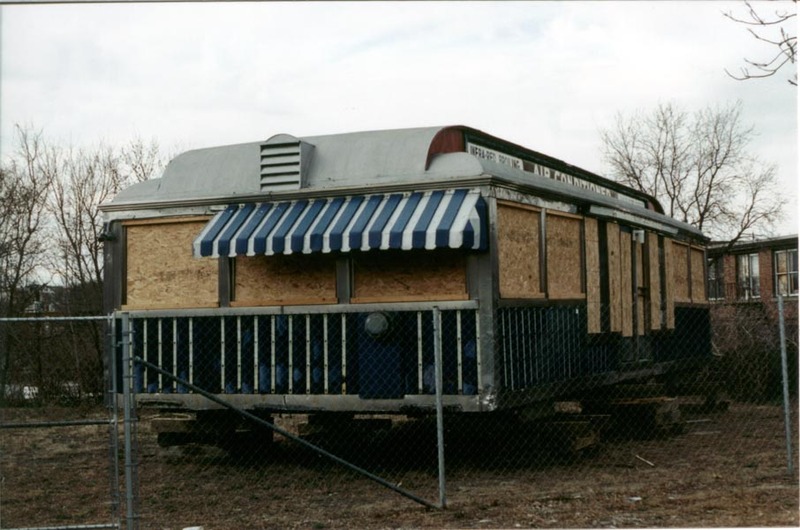 Here are a couple views of the historic Kullman diner a couple of weeks after arriving at its new home.